Better late than never to the party, I suppose. 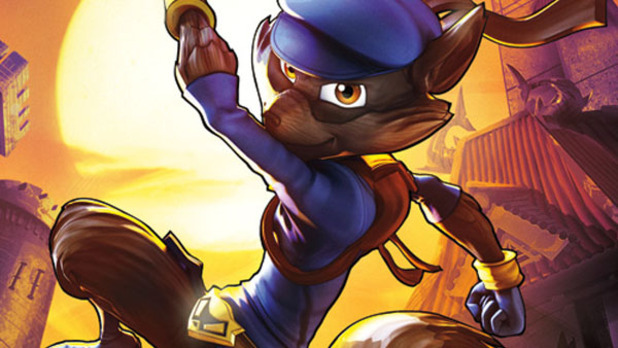 While the current console cycle quietly approaches what could be its last big year, one of Sony's most critically successful franchises on the PlayStation 2, Sly Cooper, is finally making his long overdue debut. One of the main reasons Sly and his gang of anthropomorphic debonaires have taken so long is a shift in developer. Creators Sucker Punk Productions found a small hit in the inFamous games and ran with that, never looking back. Instead, development has been left up to the guys who ported the entire trilogy into HD on the PlayStation 3, Sanzaru Games, and they have a really clever take on the franchise in the latest entry, Sly Cooper: Thieves in Time. To get fans pumped, Sanzaru has released a new gameplay and narrative trailer which plays to the tune of huge Hollywood heist films. Flashy colors, quick editing, and oh-so slick music set up the feel perfectly while the characters drop some killer one-liners and narrate the entire plan. Naturally, it cuts out just before the big twist. That's where you jump in and actually complete the mission. Sanzaru isn't going to spoil it for you, of course. Sly must travel through time to uncover why his family secrets have been vanishing, and his first stop is feudal Japan. His high tech gadgets will come in handy in a technologically inferior setting, but the swift raccoon must also use all his mundane tricks like pickpocketing and good old fashioned fisticuffs. Stealth still remains a huge element to the game too. Still, Sly Cooper: Thieves in Time looks like it will carry the legacy of the franchise wonderfully once it's released for the PlayStation 3 on February 5th.